We have talked a lot about local government membership dues in recent years. We never take them for granted, and that has been especially true as cities and counties have faced enormous fiscal pressures. 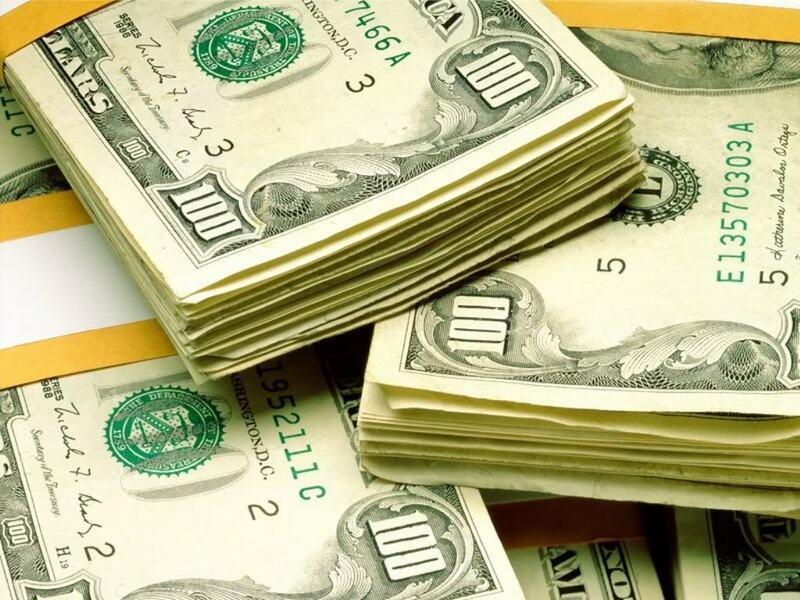 Last year more cities and counties paid their dues than any other year in our history. All 100 counties paid their dues, and all municipalities paid except for a handful of the very smallest ones. The participation rate is a remarkable statement about the strong partnership that we have with local governments in North Carolina. Dues are a voluntary contribution that subsidizes our overall operation, and cities and counties are not penalized if they decide not to pay them. They generate just under $1.5 million in unrestricted funds and they represent about 8% of our operating budget. At a time when many local governments have been cutting their budgets and laying off employees, they have continued paying their membership dues to the School. This fiscal year local governments are on a pace to match last year’s payment of membership dues. We have collected 98.5% of the total dues compared with 99.1% at the same time last year. This is a difference of only $9,000. Four counties have not paid their dues so far compared with two counties last year. Reminder notices will be sent in January and I believe that the outstanding counties and the majority of municipalities will pay their dues. In other words, it appears to me that we will match last year’s record payment. In my meetings with city and county managers, they consistently say something along the following lines. “We looked hard at everything and we eliminated dues for some organizations. But not for the School.” Actually, a fair number of the veteran managers say “Institute,” which is perfectly fine. They go on to say that they get good value for their dues and they appreciate the help that you give them. Most of the managers single out the responsiveness of our advising as a major benefit, and say “Your folks are incredibly helpful and we couldn’t get along without them.” They also frequently mention the training and, as I’ve noted in other posts, they greatly appreciate our willingness to offer webinars. We have taken strategic steps over the last couple of years to reinforce the importance of membership dues and to encourage local managers to pay them. Ellen Bradley and her colleagues in the Marketing and Communications Division created a campaign to solicit dues and strengthen our relationships with city and county managers. The campaign included a series of postcards and website profiles featuring city and county managers, a brochure and bookmark with client testimonials, and consistent messaging around the theme of “We are listening. We are acting.” The message of responsiveness was incorporated into our mailings about dues and in my conversations with managers. 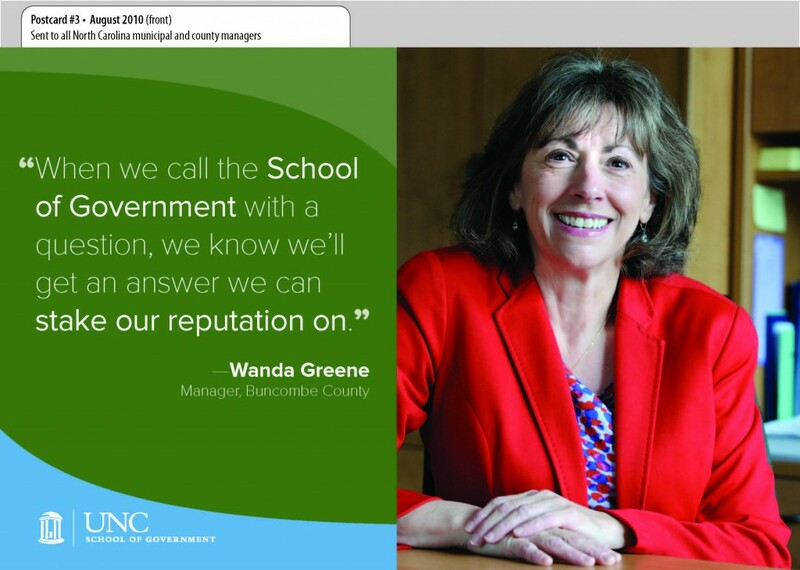 Kudos to our folks in Marketing and Communications, and congratulations to everyone for providing such excellent service to North Carolina’s local governments. The campaign was a success because the School has a great story to tell about your commitment to service and your impact on cities and counties. Thanks to everyone for working hard every day to carry out the School’s mission for North Carolina. You are listening and acting to make an important difference, and the dues simply are one way for local managers to recognize it and express their appreciation. Congrats to Ellen, Gini, Emily and Robby! They are a dynamic team and a pleasure to work with. Congratulations to all the SOG faculty and staff for providing the outstanding service year in and year out that earns this kind of result for the School. Double congratulations to the Marketing team — national recognition is a wonderful thing! “We are listening. We are acting.” I’d say, “We are lucky.” Lucky to have such a great distillation of the School’s responsiveness. Thanks to all who had a hand in creating that campaign. I would like to acknowledge the efforts of Missy Underwood in the Business Office for contributing to the success of the School in collecting local government membership dues. The emphesis on quality communications started a number of years ago has had fantastic results – this was a great move by our management team, building on the already high quality folks in the building. A great investment in our capacity to help deliver services.